Other opportunities to give, volunteer, sponsor, & support House of Charity. For more information about these opportunities and sponsorship benefits, please contact Lesley A. Chester, Chief Advancement Officer, at 612-594-2003 or email at l.chester@houseofcharity.org. Your donations are greatly appreciated. Please bring your donations to the front desk at 510 S. 8th Street, Minneapolis. To donate new and gently used clothing, please bring to our Food Centre at 714 Park Avenue from 11:00am – 1:00pm on Wednesdays. Just as Brother de Paul created his legacy by founding House of Charity, you can create yours by including House of Charity in your will to ensure that we continue to feed and house the hungry and homeless in Minneapolis. The Founder’s Society is an honor society established this year to recognize those who have included House of Charity in their estate plans. We invite you to join. Members receive several benefits, including a certificate and an insider’s news update each year. The most important benefit is the knowledge that you are part of the group who will strengthen our mission in the years to come. Please contact Paul Verrette, Gift Officer, at 612-594-2014 or email p.verrette@houseofcharity.org for more information. A tribute gift creates a lasting remembrance of a loved one and of that person’s special significance to the donor. Honor gifts are often used to recognize or show appreciation for a person or special occasion. The sentiments behind the gift can be as varied as honoring a birthday or anniversary, celebrating someone’s sobriety, or showing appreciation for someone’s support. To make an honor or memorial gift, please include a note with your donation. A gift of appreciated stock is one way to support House of Charity while receiving tax benefits. House of Charity has brokerage accounts set up to make giving easy and convenient. Our development staff will be happy to work with you and your financial advisers to discuss gifts of stock and to assist with stock transfers. Hold a fundraising event for House of Charity! Get a group of friends, family, or colleagues from work together and spend time making a difference in the lives of the homeless. Below are a few suggestions to get you started. Collect your loose change at the end of the day for one month. Host a benefit event with proceeds going to House of Charity. This is a perfect opportunity for corporate and community groups looking for a way to get involved. For example, hold a company barbecue and collect free will offerings for House of Charity. Skip one latte a day for a week and donate the funds. For your birthday or anniversary, ask your friends and family to make a donation to House of Charity in your honor. Host a gathering in your home and invite a speaker from House of Charity to come and share our story. Encourage each guest to make a donation. Challenge them to match your gifts. 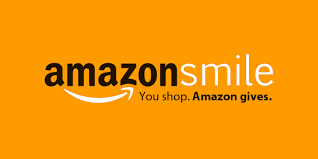 Thank you to all of you who are shopping through AmazonSmile and supporting the House of Charity!